Do a good deed. Make a donation to support our work here. Attend our programs and see our mission in action. You will enjoy being creative with participants; you will also get to know some of our exceptional artists. Some programs have restrictions; please call or email us to make arrangements for any program you'd like to attend. calendar of August programs. Calendars are updated at the first of the month. VWC volunteer students spread cheer & have fun at The Gardens of VB. 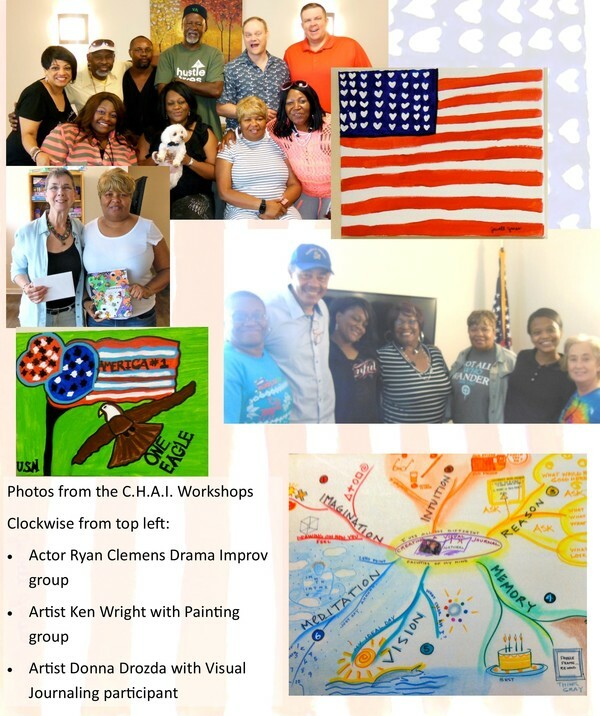 Tidewater Arts Outreach exists to create opportunities for meaningful community service through the arts. Click here for our blog about the many volunteers behind TAO. Click here for a list of current volunteer needs. Frank Cubillo of The Vocal Group 'Fond Memories' dances with a lovely lady at a Tidewater Arts Outreach program. 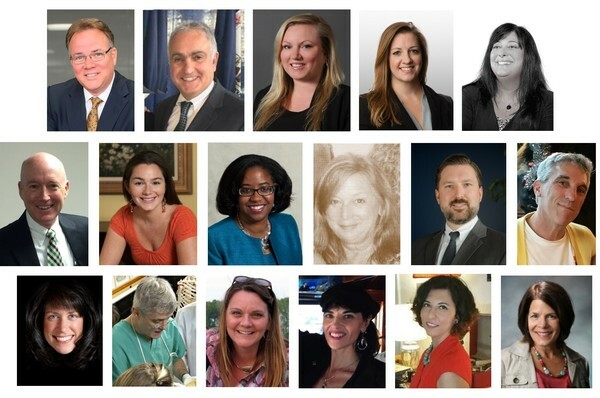 THANK YOU, 2017 PROGRAM PARTNERS! City of Chesapeake Parks & Rec. 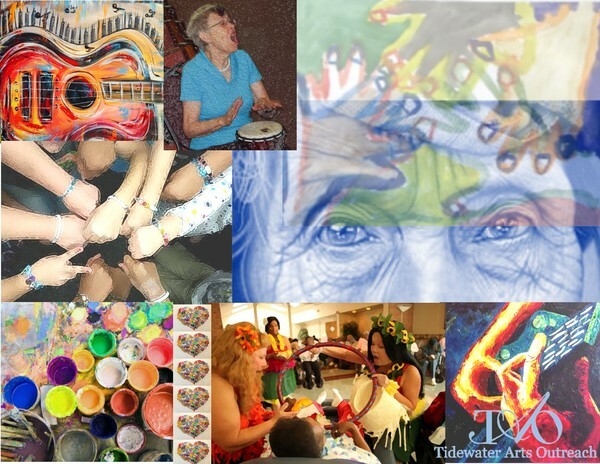 Tidewater Arts Outreach (TAO) is a 501c(3) Virginia not-for-profit corporation. Donations are tax-deductible. TAO's EIN is 68-0583526. Find us on GuideStar. 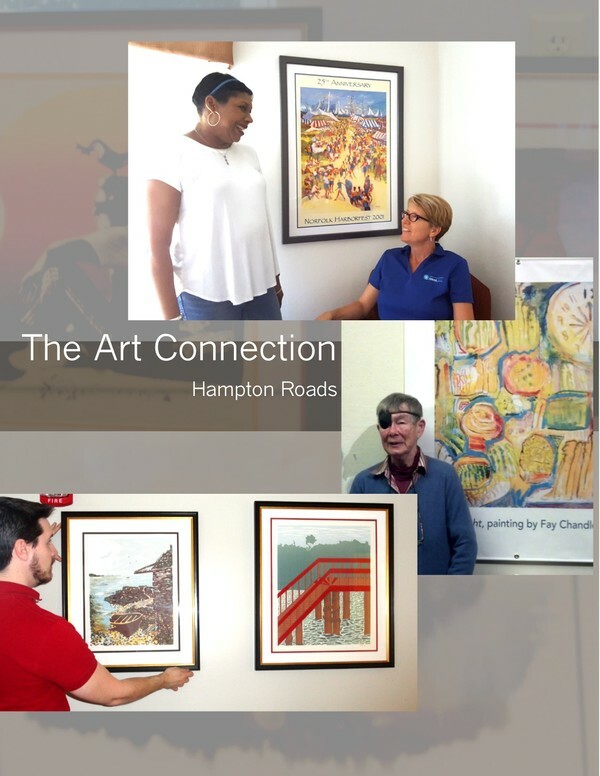 The Art Connection Hampton Roads Installs 134 works of original art at 15 Health & Human Service Sites. 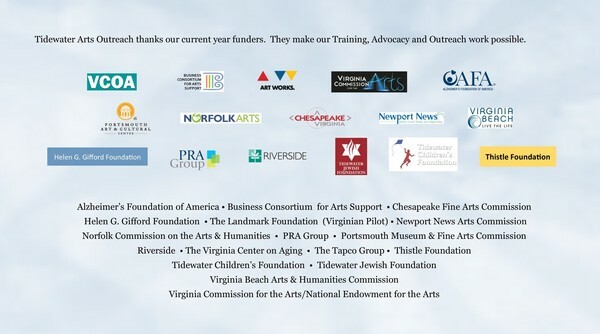 These are the folks who steward and champion Tidewater Arts Outreach in our community. Presenting our FY17 Board of Directors: L-R top row: Steve Stancliff, Chair; Osman Lambiro, Vice Chair; Jennifer Bonsiewich, Treasurer; Bonnie Lane, Secretary. Get the full list here. Save the date. Acoustic Brunch Sunday 09.18 at W|R We're thanking artists and supporters; deets about this very special event are here. #golfswing. Great news! 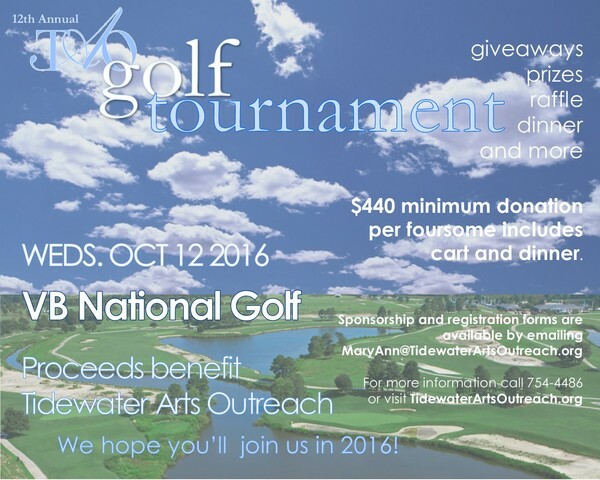 We've begun taking registrations for golf foursomes in our 12th Annual Golf Tournament. Sign up for a day of friendly competition, prizes, warm sunshine, cold beverages and lots of little white airborne balls. Just want to sponsor? Click here.